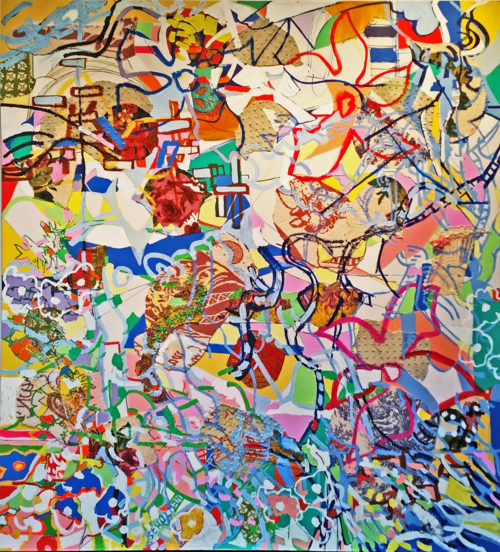 Often looking like a kaleidoscope of candy-colored maps in some fantasy place, paintings, and collages created by Master Artist George Schulman whose spent a lifetime of testing the boundaries of art. A lifelong artist at the age of four to escape the wrath of his father a WWII Returnee with PTS, Schulman moved in with his Grandparents; a wedding dress designer and tailor who made suites. 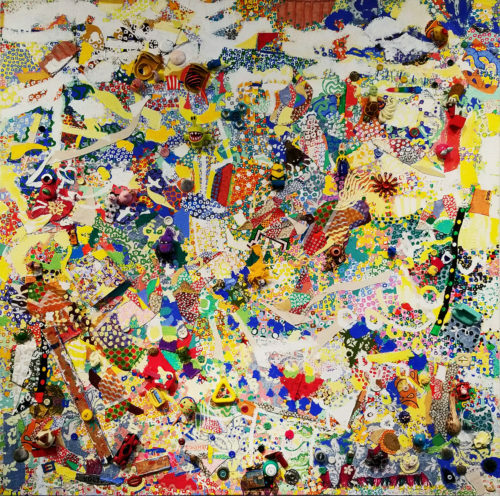 Schulman’s first paintings were on brown paper bags painted with white shoe polish and collages made from discarded fabric, lace, buttons, and novelty collected from their floor. The Sweatshop girls across the alley who loved him taught him to sew while Cockeye the one-eyed feral cat kept him company. Today Schulman’s work often mimic zippers and attached buttons, found and collected novelty, incorporate sewing, found and made objects, painted with oil and acrylic paint and 24Kt gold. 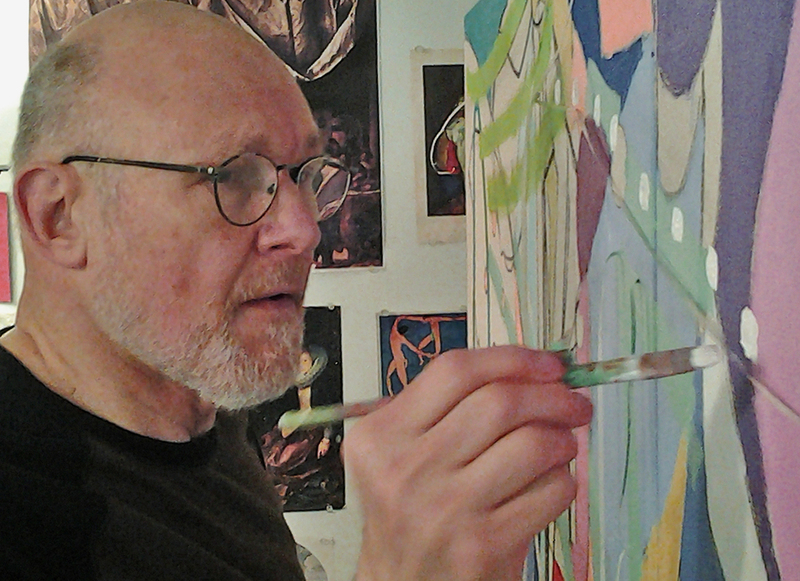 Schulman’s earliest influences came from the Modern and Classical Masterpieces which surrounded him in his much older childless second mother, first cousin, Freda Diamond Murray Hill Manhattan Brownstone where she worked and lived. A Smithsonian Mid Century Martha Stewart, who created color coordinated Glassware and home accessories and furnishings, from ages 4-9 Schulman’s first teachers were her friend’s artists Miro and Chagall. A Soho 80’s Artist Schulman mentored Jean Michel Basquiat, befriended and worked with 20th and 21st A-Listers including Knox Martin, Larry Rivers, Allan D’Arcangelo, Norman Lewis, Allen D’Arcangelo and Philip Pearlstein. 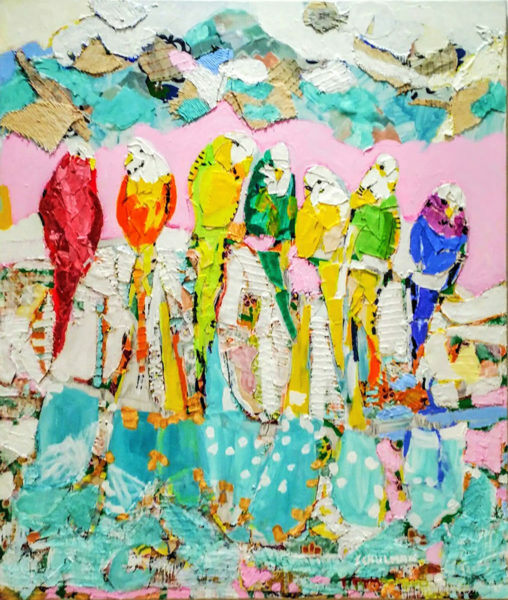 Two-Day Art of Collage Workshop: Class fee is $135 + a one-time $35 materials fee payable to the instructor the day of the workshop.